St. John's Prep junior quarterback Oliver Eberth (10) waltzes into the end zone after beating Central Catholic junior Mike Horak (68) around the edge on an option run on Saturday afternoon. 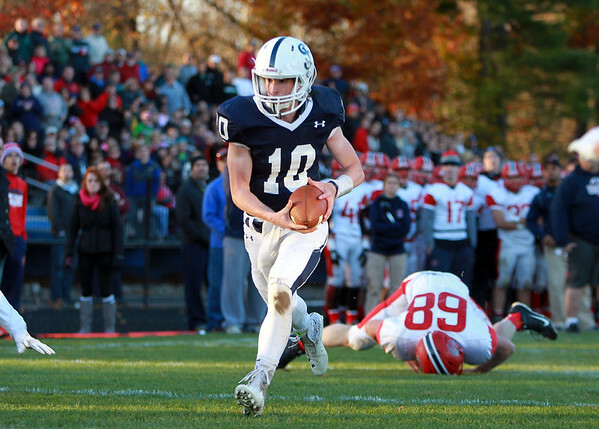 The Eagles steamrolled the Raiders 42-7 in the D1 North Semifinal at Cronin Field in Danvers. DAVID LE/Staff photo. 11/2/14.